Kalango Linux was a Brazilian Linux distribution designed for desktop use. It was based on KANOTIX and uses the Debian package management tools. 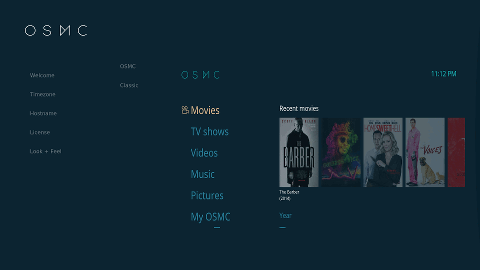 Rate this project OSMC (formerly Raspbmc) is a Debian-based minimal Linux distribution that brings the Kodi media centre software to a Raspberry Pi, Apple TV and Vero devices. The OSMC project has released a new version featuring a Debian 9 "Stretch" base and version 17.6 of the Kodi media centre. This release also introduces OpenVPN support. "As you may have noticed, we didn't release an OSMC update in November. After a lot of hard work, OSMC's slightly belated December update is here with Debian Stretch and Kodi 17.6. This yields a number of improvements, and is one of our largest OSMC updates yet: Better performance. A larger number of software packages to choose from. More up to date software packages to choose from. We'd like to thank everyone involved with testing and developing this update." A full list of changes and fixed can be found in the distribution's release announcement. Download (pkglist): OSMC_TGT_rbp1_20180109.img.gz (175MB, MD5), OSMC_TGT_rbp2_20180109.img.gz (176MB, MD5), OSMC_TGT_vero3_20180109.img.gz (170MB, MD5).